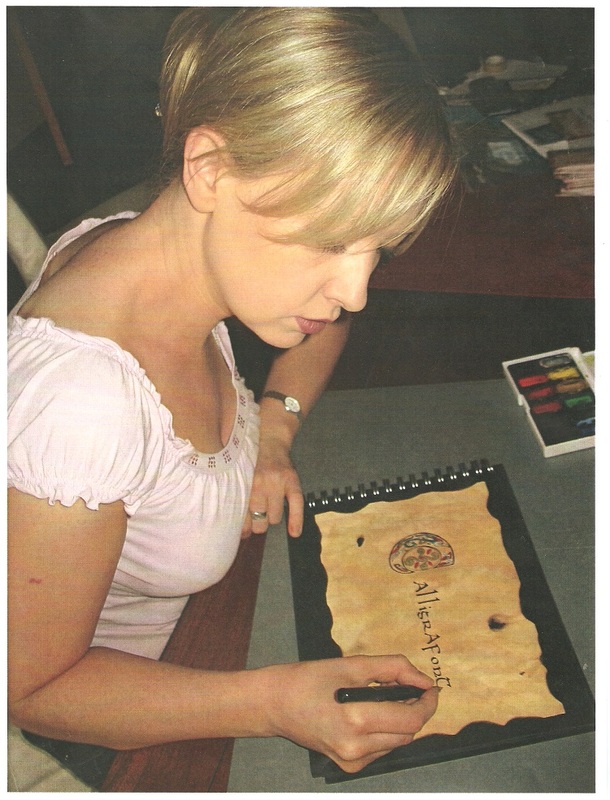 Calligrafont is an Irish company based in Santry, Dublin 9, which is dedicated to the fine art of hand-crafted calligraphy, a skill that dates back to medieval times and is still evolving in modern times. It is run by Aoife Lyons, who is used to working to tight schedules and a specified budget. Calligrafont offers beautiful hand-lettered work for invitations and envelopes, place-cards, decorative wedding commemorations, birth certificates, family trees, book plates, poems, awards, certificates, scrolls, corporate stationery and any personalised message. It also undertakes special commissions and is happy to discuss any lettering or design requests you might have. For a personal work or a truly unique gift, perhaps your own poem or favourite saying, this is an ideal choice and represents an investment for the future. Each piece of calligraphy is unique, every dot of ink being applied by hand. Sizes range from A4 up to A1. Aoife has carried out presentation scrolls for the Freedom of the City of Dublin and the Annual Lord Mayor’s Awards and for the Freedom of the Town of Carlow. A recent high-profile commission was to create the scroll conferring the Freedom of the Town of Ennis to legendary boxer and humanitarian, Muhammad Ali. Aoife carries out commissions for corporate functions regularly including stationary for banquets and inscriptions on certificates for award ceremonies.